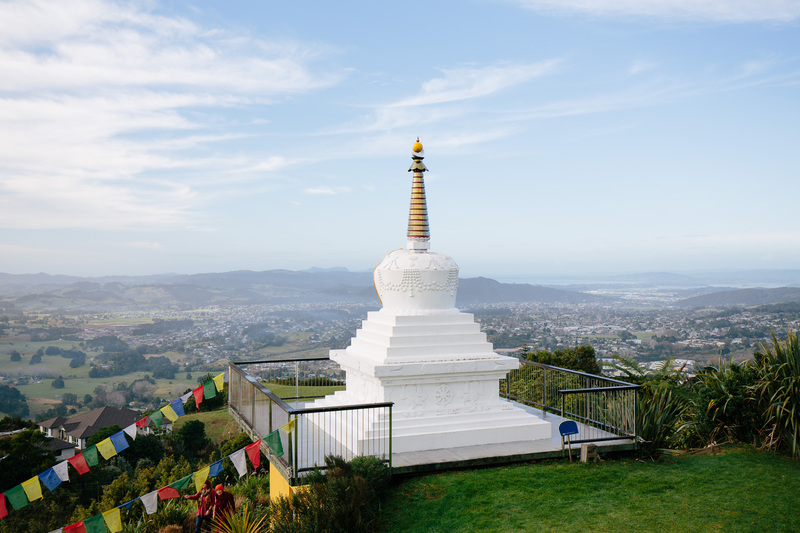 The Stupa represents Buddha’s holy mind, Dharmakaya, and each part of the Stupa shows the path to Enlightenment. 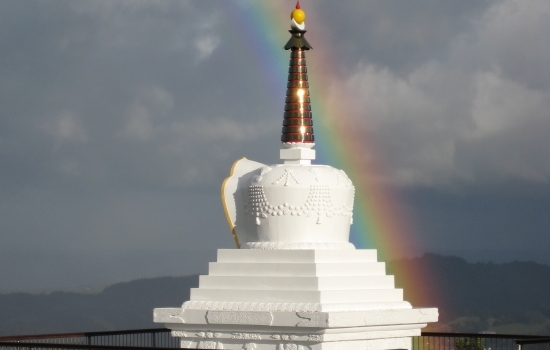 Building a Stupa is a very powerful way to purify negative karma (energy) and to accumulate extensive merit. 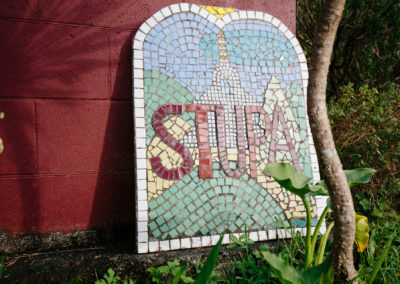 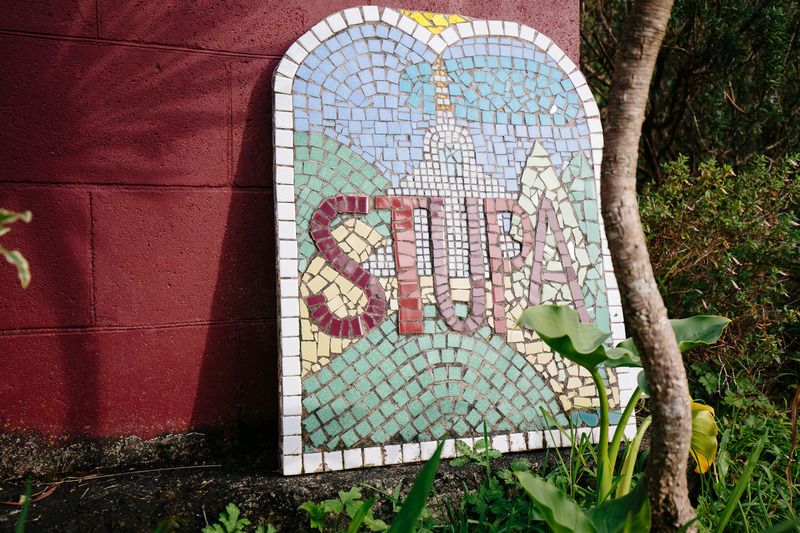 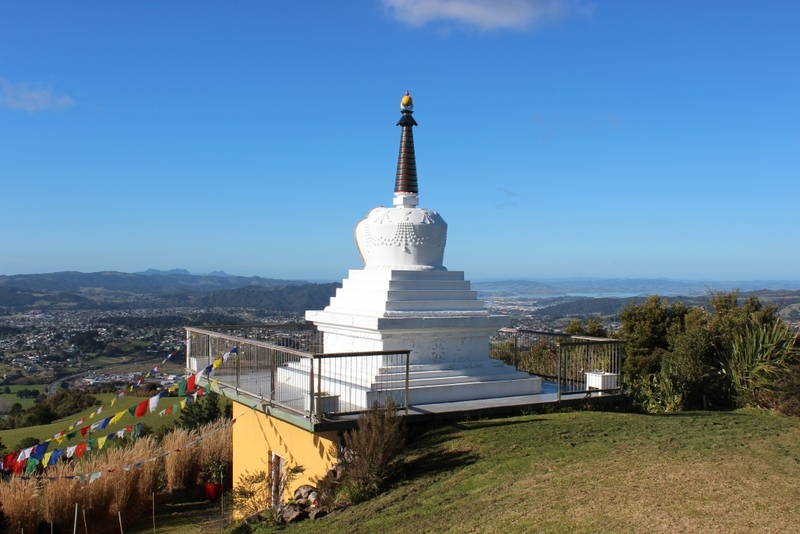 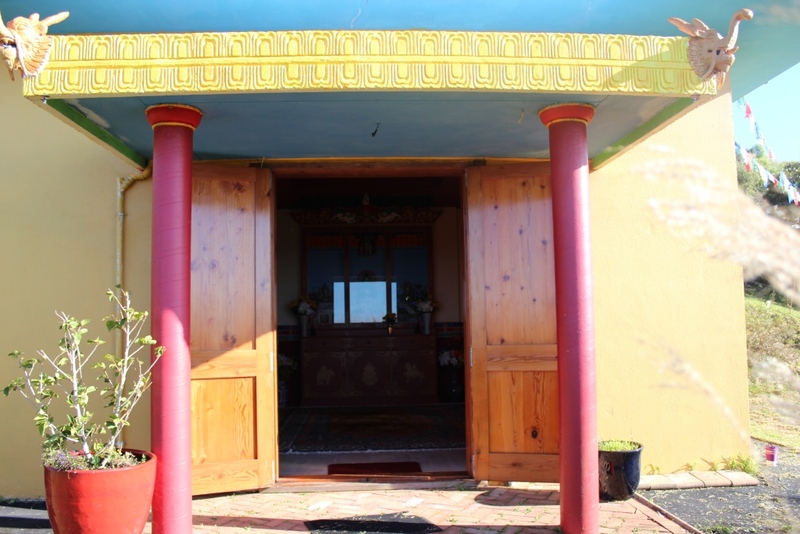 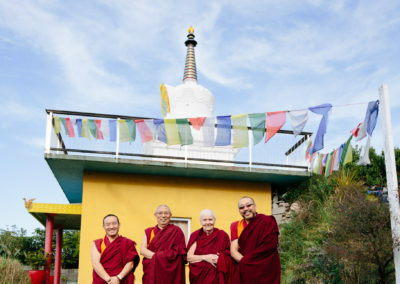 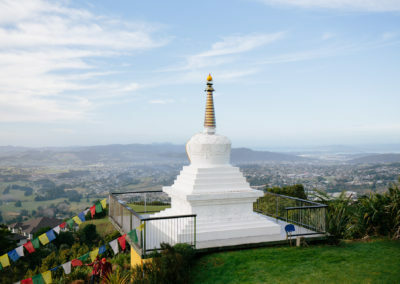 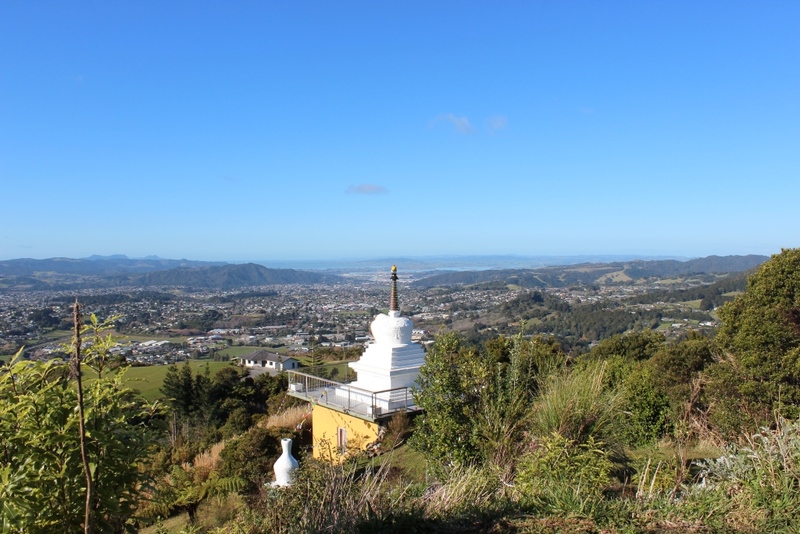 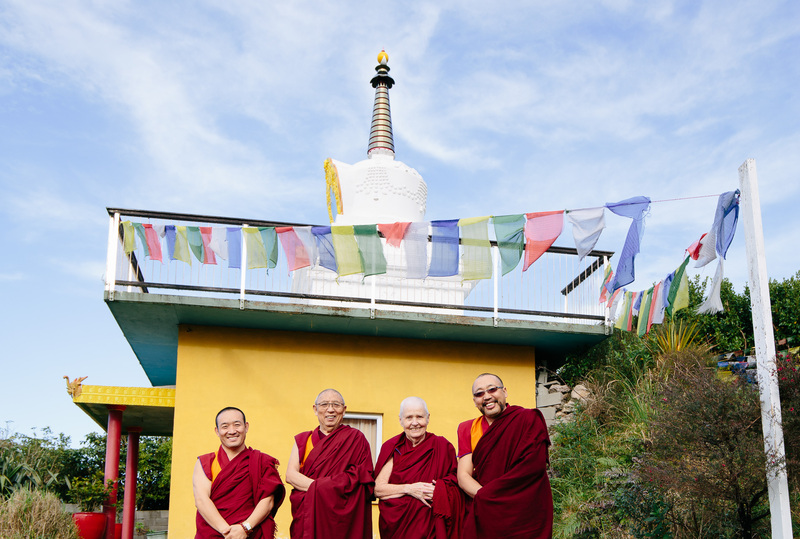 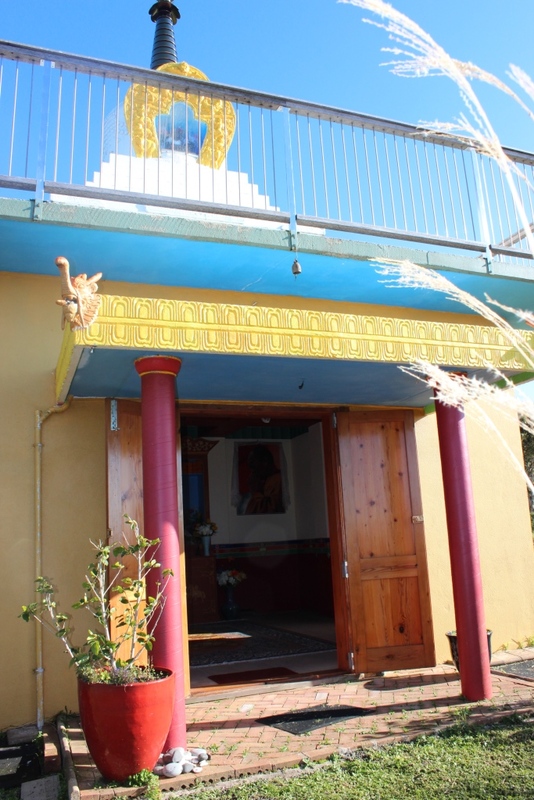 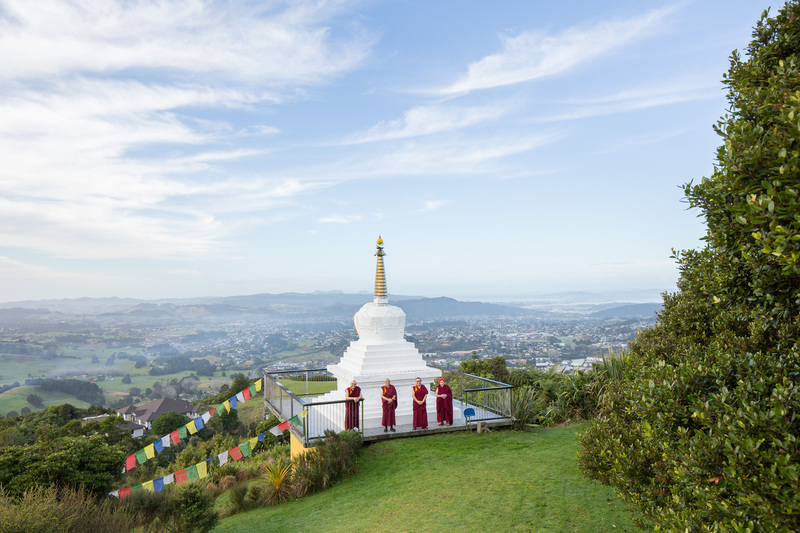 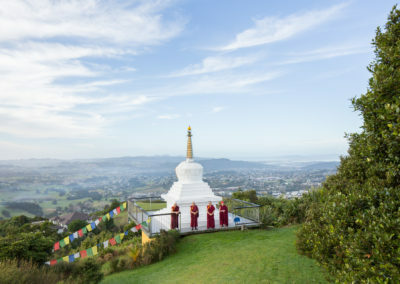 Our stupa took us nearly 8 years to build and is situated just above our centre in a very stunning site over looking Whangarei and its harbour. 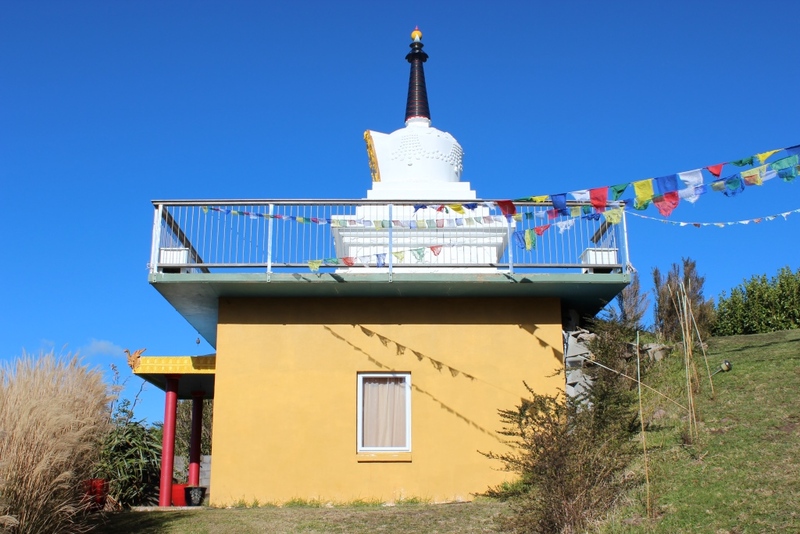 Benefits of building a Stupa as explained by Lama Thubten Zopa Rinpoche in Chenrezig Institute, Australia, in September 1994.